Galaxy S10 (X) absolutely no bezels = bad ergonomics? "Showcased at SID in late May, the “sound on display” screen doubles as a speaker, as the sound is conducted directly through the screen to the user’s ear via skull bones. Samsung’s OLED prototype shown at the event measured 6.22 inches diagonally and featured 2960 x 1440 resolution." 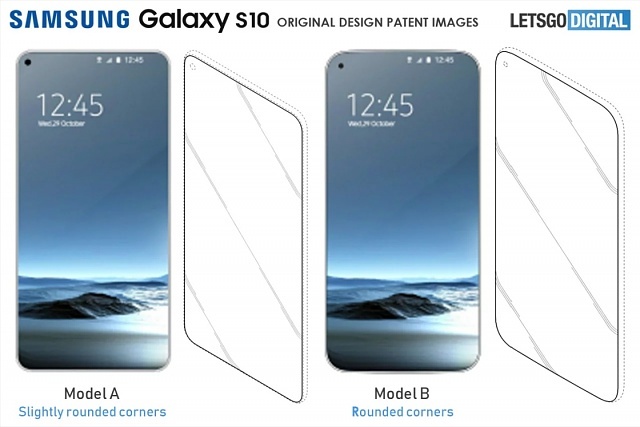 Samsung is planning to have absolutely NO front bezels at all, and having the front speaker come out from the edges of the screen itself. Add in the fact that Samsung will likely bring back the curved display again will just make the ergonomics absolutely awful.. seriously, a nightmare to hold and use comfortably, with the trade-off of a cool and "beautiful" looking phone. Does Samsung even care about ergonomics anymore? I don't think so.. just look at the Galaxy S8 and Note 8 fingerprint scanner placement.. just horrible! If you don't think it's an issue, look at their first Galaxy Tab S 8.1 tablet with nearly no bezels.. that thing was VERY uncomfortable to hold..so bad that on the next Galaxy Tab S2 they brought back the bezels again... Sure it looked nice, but not practical to use daily. Samsung realized how uncomfortable it was so they made the bezels bigger again on the Tab S2 and S3. Big phones and no bezels is a disaster! What do you think of a large phone (Galaxy X plus) with absolutely zero bezels plus curved screen? I wonder how problematic it will be to get a screen protector to look perfect when there are such potentially tiny bezels all around... On my LG V30, even though the edges of my film aren't perfect, I find it to be easier to 'forgive' since it generally doesn't impact how images appear on the screen. Also, won't even clear cases that offer at least some protection make images on the screen seem distorted the since those cases will create their own type of actual bezel around the outside edges of the phone and overlap the screen pix? It'll be interesting to see how things transpire. The article was published back in June. With the announcement of the X, does any of this still apply ? I checked the date because the article said "the Note 9 will ..." and stopped reading. I don't think no bezels will be bad. Curved screens have proved that. People and screen protectors are doing pretty good. I don't know if people are holding their phone on the top and bottom. And if so, I'd like to see a picture of those long fingers and how they scroll. Samsung said they have been testing the opening and closing, so it might be ok.
No to curved screens, and yes to bezels. I like to have edges I can hold on to without false touches and distorted images. Anything and everything with a bezel is mocked, even laptops, I don't get it. Personally I've been unhappy with how narrow bezels are on phones for a few years, can't actually squeeze and get a good grip without screen touches. Big annoyance is laying in bed or a recliner and attempting to lift the phone above my face like I used to, things are easy to drop now. People just want as much screen as possible , in the most compact form possible - so bezels are sacrificed. Sometimes, and in some situations, it winds up being a disadvantage. Big annoyance is laying in bed or a recliner and attempting to lift the phone above my face like I used to, things are easy to drop now. I use my Note 9 in bed, lying on my back, hold it in my hands only and over my face without a problem. Usually I'm on my side, but have used it, even used the keyboard (swype), while over my face.